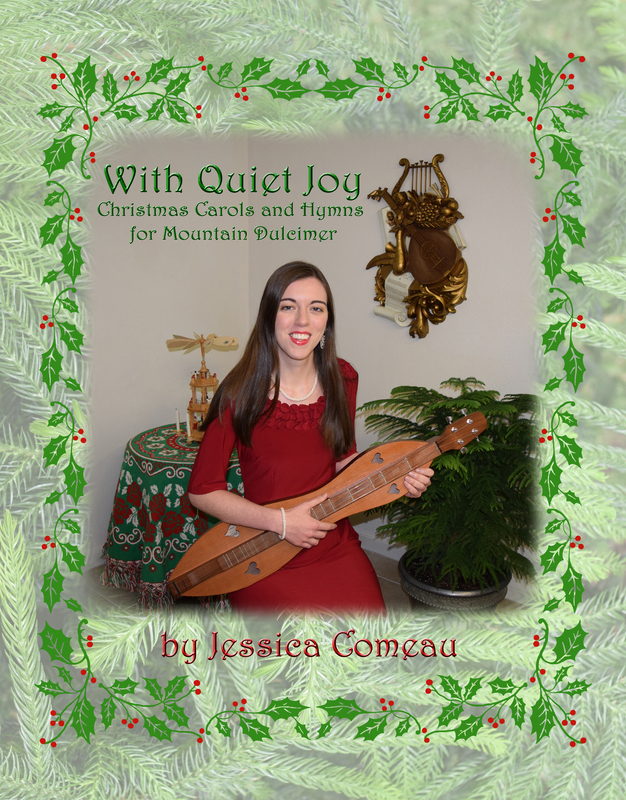 Click here to purchase print items directly from Jessica Comeau through PayPal. ​Click image of back cover to see the list of song selections. Insert disc into DVD drive on your computer. If DVD begins Autoplay, close the movie window. Go to My Computer or Finder. Find DVD drive on the left column where internal and external drive are listed. Click on the drive, and look at the data on the disc; you will find a folder called "Midis," which contains an audio file of every arrangement in the book. The DVD is packaged separately from the book in a bubble-wrapped clamshell case for safety during shipping; a clear sleeve is included inside the back cover of the book as an option for keeping the DVD along with the book. 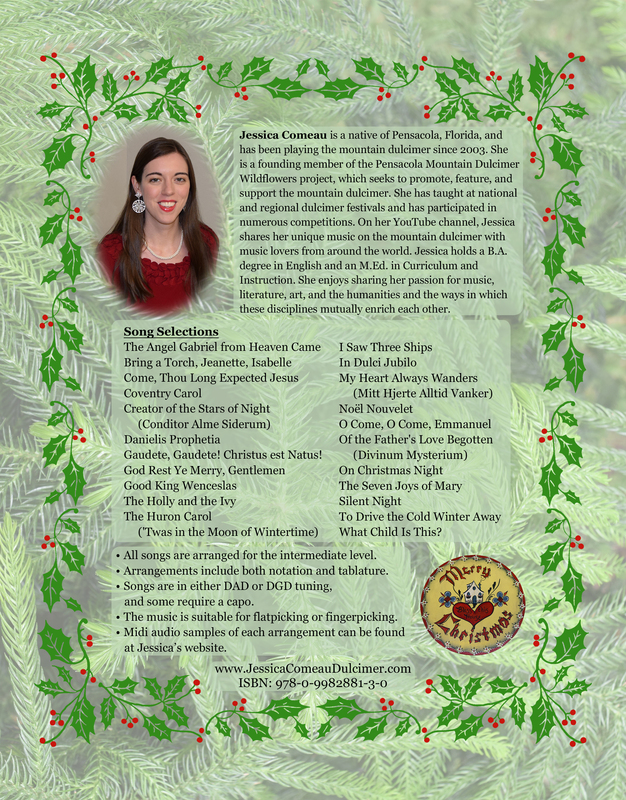 Click on the image of the back cover to see more details about song selections. Click above to see a trailer for "Songs of the Earthly Pilgrimage." Life is a pilgrimage... Here are songs for the journey. Click the icon above to listen to sound samples or to download a digital copy of my album. 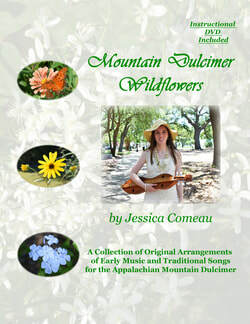 $5 discount offered to owners of Mountain Dulcimer Wildflowers​. Send me an email to receive the discount, and provide me proof of purchase (e.g. a picture of you with your book and a reminder of where you purchased it) if you are not already in my online records. 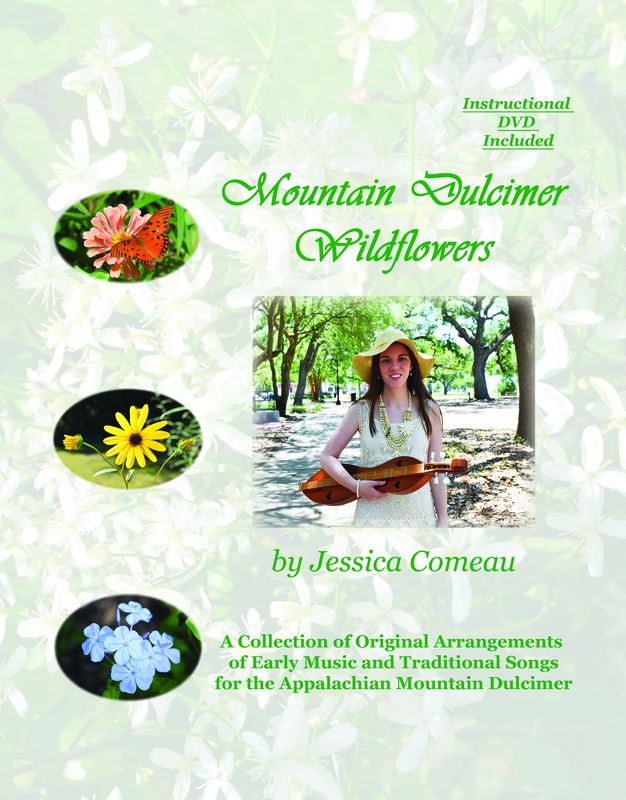 These digital workshops allow you to set your own pace and choose your own place to learn arrangements from my book, Mountain Dulcimer Wildflowers​. The workshop set includes tablature of the songs, measure-by-measure instructional videos, and midi audio files to help you learn by listening (all in a 372.2 MB zip file). My teaching approach in these videos follows very closely the format I used to teach "The Water is Wide" in my video series "How to Play the Mountain Dulcimer" and is the same approach I used in the song tutorials included on the DVD for Mountain Dulcimer Wildflowers. Note: You may also need to download an unzipping app if you plan to download a file directly to an iPad at initial purchase. Otherwise, download it to a desktop computer first, then place the files in an online cloud or drive.